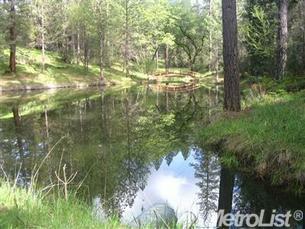 Search current inventory of 3 bedroom houses on over an acre in Placerville. Call John Conca at 530-306-3494 for more information on this 3 bedroom house on over an acre in Placerville and to arrange a showing. This is a great opportunity to own an attractive 3 bedroom house on over an acre in Placerville. This updated country home has pleasing architectural details and ample space to play outdoors. With special hilltop vineyard views out the back deck and a large workshop near the back of the property, you’ll get to enjoy the great outdoors year-round. The front yard is fenced all around so little ones can play without worry and the front lawn has built-in sprinklers to help maintain its lush beauty. This house is an entertainers dream with 2 family rooms, vaulted ceilings, granite kitchen counters and back-splash and 2 decks including a no-maintenance back composite deck. The new laminate flooring and abundant storage help keep your house looking sharp and company-ready. The lovely kitchen divides the two living rooms and sparkles with gorgeous cabinetry. The home is comfortable year-round thanks to ceiling fans in the front living room and each bedroom and evaporative cooling to keep all 3 bedrooms and living rooms comfortable in the warmer months; central heating, a propane fireplace insert in the front living room and a pellet stove in the back family room will keep you toasty warm even upon the rare occurrence of snow. All of the windows are covered with attractive looking blinds and there is a fresh coat of paint as of June, 2013. The mud-room features electric or gas options for washer and dryer hookup. There is also another optional washer and dryer hookup in the hall closet by the master bedroom. Most of the closets in the house boast built-in closet organizers. The lavish use of organic materials from the home’s cabinets, counters and window sills to the thoughtful details such as cabinetry shelves on pull-out rollers all add to the comfort and ease of life you’ll experience living in this 3 bedroom home in Placerville. Whether you need to be closer to the little ones or want more privacy, this home gives you the luxury of both options. There will be no worries about being so far away from young children at night such as are concerns caused by the newer trend of putting the master suite on a separate story in the house. In fact, if you prefer, you can make the connected room in the master bedroom a nursery and still have privacy with the glass French doors which separate the rooms. If you want a fourth bedroom in the house it would be relatively simple to turn the connected master room into a separate 4th bedroom. While you’re not separated by stairs, the 2nd and 3rd bedrooms are on the other side of the house and they enjoy a close walk to their luxurious, full bathroom with 2 granite sinks, significant storage and a deep jetted bathtub. The master bathroom includes a granite counter, a stall shower and 3-door mirrored medicine cabinet. 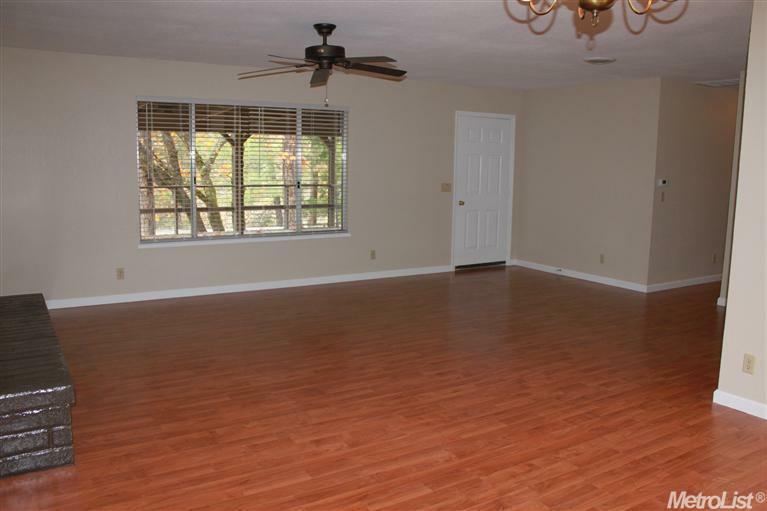 The master bedroom has access to the side yard which can be easily converted into a dog pen. Keep the master bedroom the way it is and you have a gorgeous space for a library or home office (no need at all for changing out of pajamas to go to work with this floor plan!). The extra area has a door to the front hallway and a beautiful bay window, again, already covered in attractive wood-style blinds. The house has T1 available for those who are serious about their internet speed. Placerville is a historic town 45 miles east of Sacramento. This popular tourist town is also known as “Hangtown” due to its colorful history as a mining hub during the California gold rush. Situated on the Western Slope of the Sierra Nevada mountains, Placerville is probably best known for “Apple Hill” which is a cooperation of apple orchards just east of Placerville, who, together, host harvest festivals featuring the many delicious apple treats along with craft fairs selling goods made by local artists. Click here for more information on Placerville. With beautiful local hilltop vineyard views (at least from this house) any fresh snow you may get will be breathtaking and worry free as Union Ridge Rd gets plow service. Only a beautifully scenic 5 minute drive to Placerville’s many amenities, 50 minutes to downtown Sacramento and never far from the various lakes and rivers nearby. There are plenty of hiking trails all over El Dorado county and endless outdoor activities. 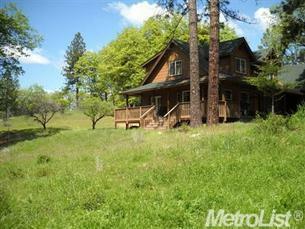 They will be fun if you can ever tear yourself away from your beautiful 3 bedroom house on over an acre in Placerville. Follow this blog to get the latest in El Dorado county real estate, local events and timely home maintenance tips. This entry was posted in Buyers, Placerville and tagged 1 acre, 2 bedrooms, 3 bedroom house, country home, El Dorado County house with land, granite kitchen, Placerville home, views. Search new inventory of 3 bedroom houses in Placerville. Call John Conca at 530-306-3496 to see if this property is still available and arrange a showing. Enjoy this low maintenance yard on the covered deck all year long. Here’s your chance to live in this serene setting at the end of a peaceful cul-de-sac in Placerville. The covered deck will let you be outdoors regardless of weather conditions so you can kick back with tea or coffee-hot or iced- and relax while gazing out over the treetops. With a low maintenance yard like this one you won’t be bothered with mowing or watering. The side yard has a pretty retaining wall and thoughtful attention has been paid to ensure there is proper drainage near the house. There are even new gutters and downspouts. The fenced yard is perfect for playing children or pets and the large back yard is ready for a granny flat, workshop, spa patio area or even a nice outdoor theatre. Trees provide privacy and the only limits are the limits of your imagination. Call me, John Conca, at 530-306-3494 if you need help finding a good contractor or designer to assist with your imagining and click through for some backyard inspiration. Click here to see additional photos of this 3 bedroom house in Placerville. New ceiling fans in each room and a wall air conditioner that covers the whole house keep your family cool in the summer and the fireplace makes for a romantic and cozy space in the colder months. The living room and dining room are open to each other and the kitchen and dining area are connected for easy communication between household members. The kitchen has new countertops, a new sink, new stove, new garbage disposal, and new fan and beautiful tile floors. There is extra space in the back of the kitchen for extra storage and space for your kitchen helpers. This house has 3 nice bedrooms with ceiling fans and the master bedroom has a lovely bathroom with nice new tiles, vanity, and fixtures. The main bathroom has nice new tiles above the bath and on the floor and new fixtures and vanity as well. There is plenty of storage in the closets in the living room, hallway and bedrooms. If you need extra storage, look no further than the oversized garage because it is loaded with cabinets and storage areas, as well as a nice workshop. This 3 bedroom house in Placerville ready for you to move in; complete with fresh paint throughout (the owner even removed the outdated popcorn ceilings and applied a nice modern texture), new baseboards and door frames, new window coverings, new water heater and 3 year new furnace. It’s even wired for Comcast high speed internet. The multiple “new”‘s here mean you can get in and get back to comfortable living much faster than normal without having to worry about the usual home moving hassles. The location of this home can’t be beat. It’s at the end of a cul-de-sac, it’s in a beautiful rural area, tucked back with no traffic noise, yet it’s within a couple miles of just about anything you need-groceries, Starbucks, a park, gas…- just 2.5 miles to historical Main Street and Marshall Medical Center and 4.5 short miles to the nearest movie theatre. Safety, peace and convenience all wrapped up in one address. Placerville is rich in historical interests. If you’re new to the area click through to learn more about Placerville, or “Old Hangtown”. There’s a lot of fun and adventure to be had for the outdoor enthusiast, a thriving art scene for those interested and you’re never far from one of the many wineries of the area for wine connoisseurs. 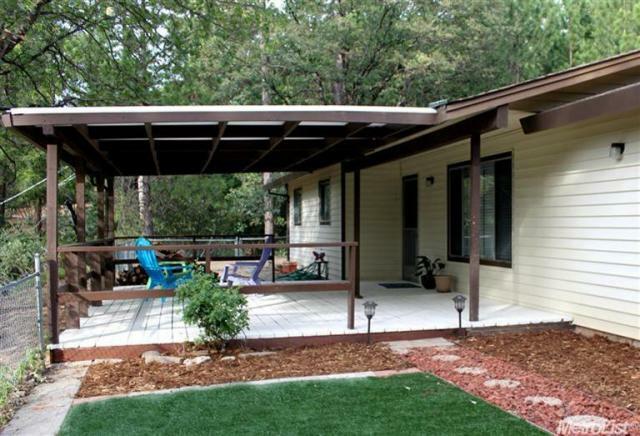 Perfectly situated between Tahoe and Sacramento, this great 3 bedroom house in Placerville has so much to offer. Try my custom search for the specific area you’re looking for. I hope this information serves you well. Follow my blog for updates on local events, real estate news, timely home maintenance suggestions and tips for buyers and sellers. This entry was posted in Buyers, Featured Listing, Placerville and tagged 2 bathrooms, 3 bedrooms, half acre, move-in ready, Placerville home, Placerville real estate, updated home. Secluded home on 20 acres only 10 minutes to town with guest cottages. Stunning 20 acres zoned R-5 for possible split. 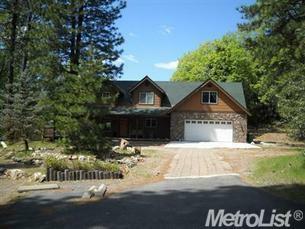 Almost new mountain home with covered decks, lapped Hardi plank and natural rock siding. The oversized country-style kitchen has granite counters, double oven, and a gas range. The hardwood floors accent the T&G pine wall and ceiling in living room. Master bedroom suite features spa tub and separate shower with a spacious walk in closet. 2 guest cottages & seasonal pond. Very secluded, but only 10 minutes to town. Find more information on this property here. Contact me for a tour, I’m more than happy to show you around. This entry was posted in Buyers, Featured Listing, Placerville and tagged 20 acres, country home, guest cottage, Placerville home, pond, secluded home. Contact me anytime. I'm happy to help you with anything you need.